When choosing between mortgages, knowing how different lenders calculate penalties can be essential. The market and your needs can easily shift during the term of your mortgage and the last thing you want is a painful penalty in order to get out early. I got a cease and desist order on this. Had to get rid of logo of the original bank it was about. I think we have to be careful how we present this information to clients. If the nature of penalty calculations with banks or monolines (with large 3.00% of balance repayments) are properly and THOROUGHLY disclosed (not like TD Bank on the TV show when the TD rep was asked a question 4 times and avoided the question) and the client says to us: “I definitely will not break the mortgage in the next 5 years” I believe we all need to stop and think about whether we should put on a strong and determined effort to dissuade the client and purposely PUSH the client in the direction of plain vanilla monoline pricing which by some magic stroke of luck pays the mortgage broker a higher commission!! We need to apply some intellectual honesty to this transaction. If we pull out all the stops to push the client away from a mortgage with a lower rate and higher penalty potential towards a higher rate and a much lower penalty formula even AFTER the client says they will NOT need the lower penalty and the client follows that advice and ends up with a higher rate then is it not the right thing to check with the client at the end of the 5 – year term and if they did not break the mortgage should not the broker REFUND THE DIFFERENCE from the lower to the higher rate. That would be the RIGHT thing to do? No? Oh! I am amazed, everyone pushing the higher rate, plain vanilla monoline mortgages (that pay a higher commission) with better penalty formulas says: HECK NO,I am never refunding the consumer a dime even though the client told me that they won’t break the mortgage. I just gave the client wise advice and urged them towards a product they said they did not need and big surprise to me when the client was right. But I am not refunding a penny for giving what turned out to be the WRONG advice, the WRONG push to a higher rate product. Mortgage Brokers: its time to inform the consumer thoroughly, discuss the key aspects of the mortgage product fully, resist the desire for higher commission and trust the consumer is smart and will make the right decisions about THEIR OWN MONEY. Hey Ron, Some good points, particularly the fact that high penalties aren’t just a bank thing. Some of the lowest rates in the industry are from non-bank lenders with some of the highest penalties in the industry. Regarding compensation, no one can deny that it affects many a brokers’ mortgage recommendations—especially when you take trailer fees and lender “points” (incentives) into account. Some brokers get paid over 50% more to sell bank mortgages, however, so high commissions aren’t just the domain of monolines. When it comes to penalties, there are multiple reasons why someone might break a mortgage and incur them. Folks often cannot foresee those reasons and/or they change their plans, making early discharge a necessity. For that reason, it can be reasonable advice to recommend a more flexible product to someone who asks for “no frills,” especially if the rate difference is minimal. As you note, however, it totally hinges on each client’s unique circumstances. 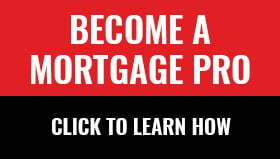 On bank penalties: generally speaking the penalty to break or refinance a fixed rate mortgage will be 50% to 70% cheaper with a wholesale lender and it is consumers with large mortgages who should be most concerned about this because they can potentially pay tens of thousands of dollars in additional costs. In one case we were refinancing 700k with a wholesale lender the penalty was about $6,000 including 25% penalty reduction for staying with the lender. Just out of curiosity we plugged the exact same details into bank prepayment calculators and the lowest quote was 35,000 the highest was 38,000. The wholesale lender’s penalty was literally one fifth of what the client would have been charged had this mortgage been with a big bank. On renewals: broker-only wholesale lenders provide clients with their best rates on renewals which is something that big banks almost never do. Food for thought for those who insist on getting their mortgage from a big bank. Very informative article for the consumer and brokers as well.